It’s springtime and with that comes Easter, and with Easter comes new beginnings! 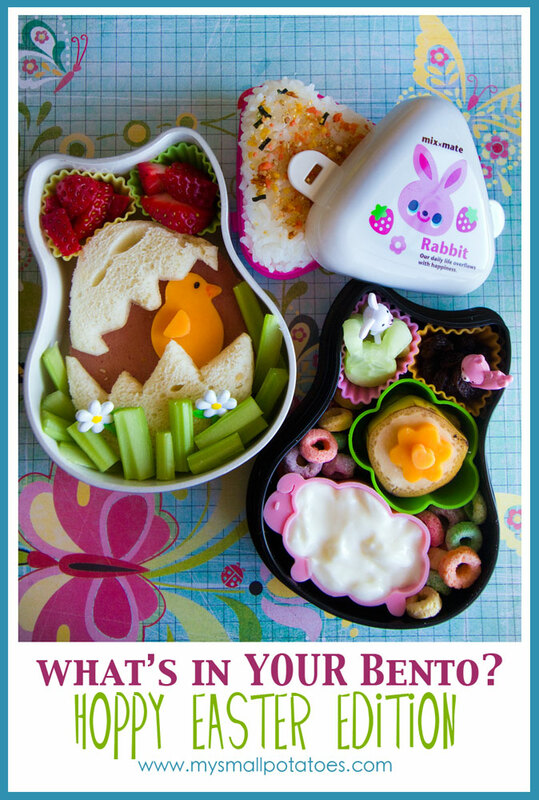 This weeks bento is all about soft spring colours, new baby chicks, and happy little Easter bunnies! The sheep silicon cup, the flower silicon cup, the white bunny pick, and the pink bunny pick were all purchased at http://www.bentoUSA.com. I cut the flower-shaped cheese with these cutters, and the cucumbers with these cutters. 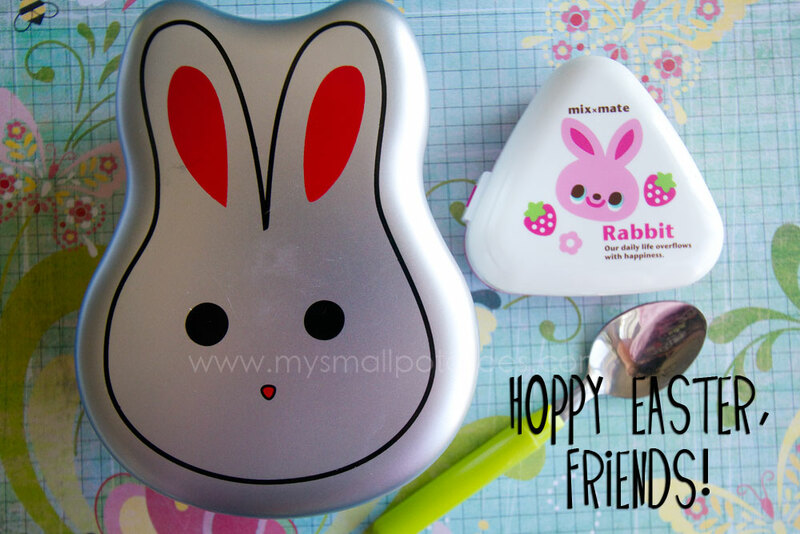 This bento lunch includes a nice sized onigiri in a cute little bunny container. 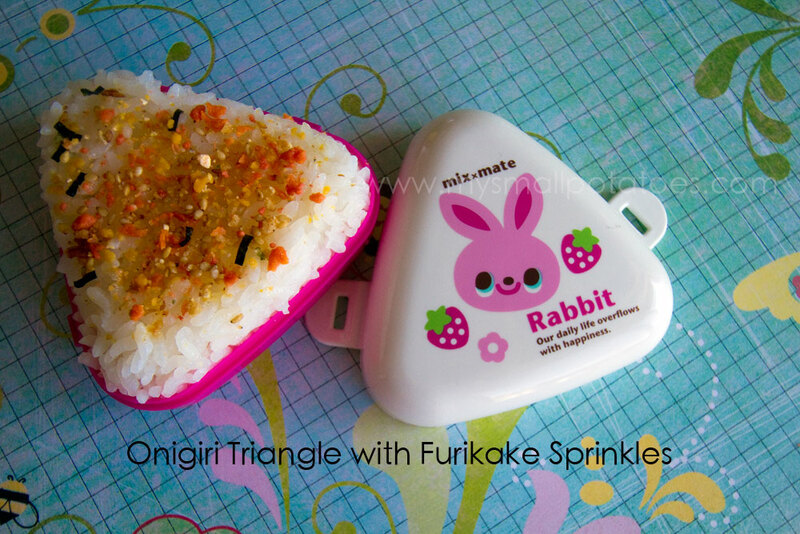 You can read more about onigiri and how to make them in our last week’s post. I sure hope you all have a wonderful Spring Break and Easter holidays! 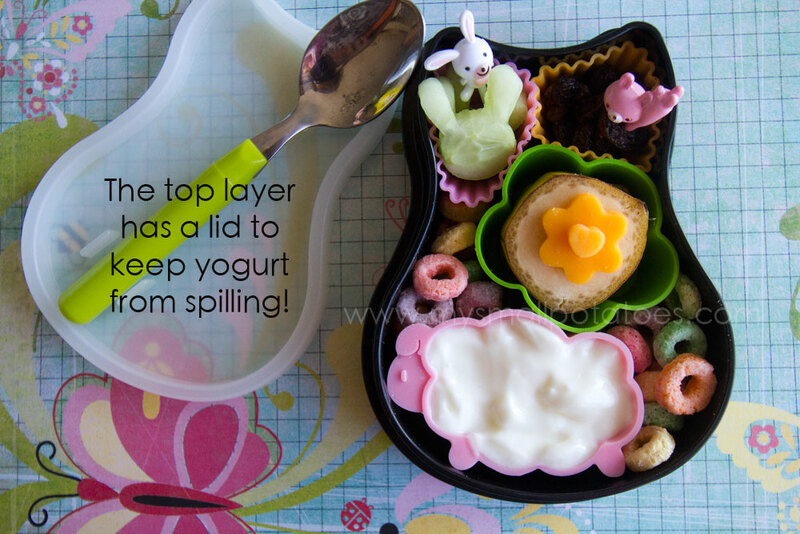 Happy bento-ing! 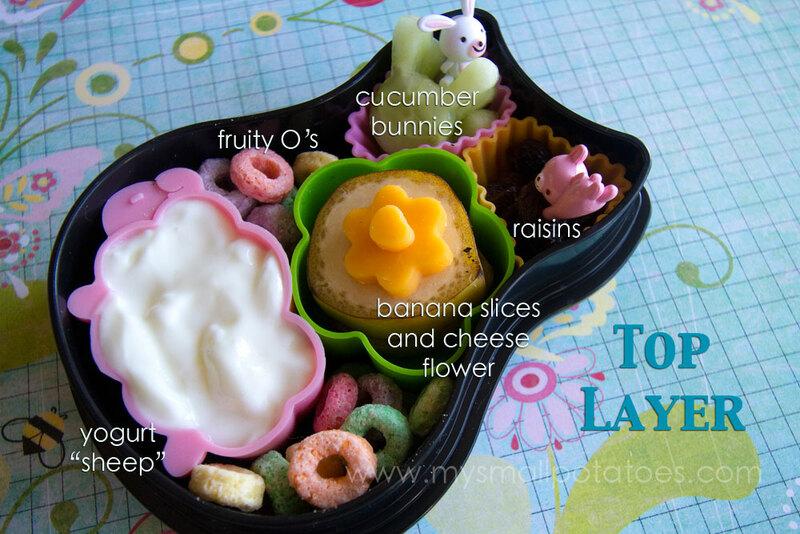 Posted in Bento Boxes, Childcare, Cooking, creativity, Early Childhood, Education, Food, Fussy eaters, Imagination, Inspiration, Japan, Lunch, Meals, Nutrition, picky eaters, Uncategorized, What's In YOUR Bento? Arli…I always new you were creative but after looking thru your small potatoes site…I can see you are absolutely amazingly talented!!!!! Your kids are sooooo fortunate to have such a creative mum! So delightfully cute! Love the cracked egg bread and the bunnies cucumber slices 🙂 Happy Easter! 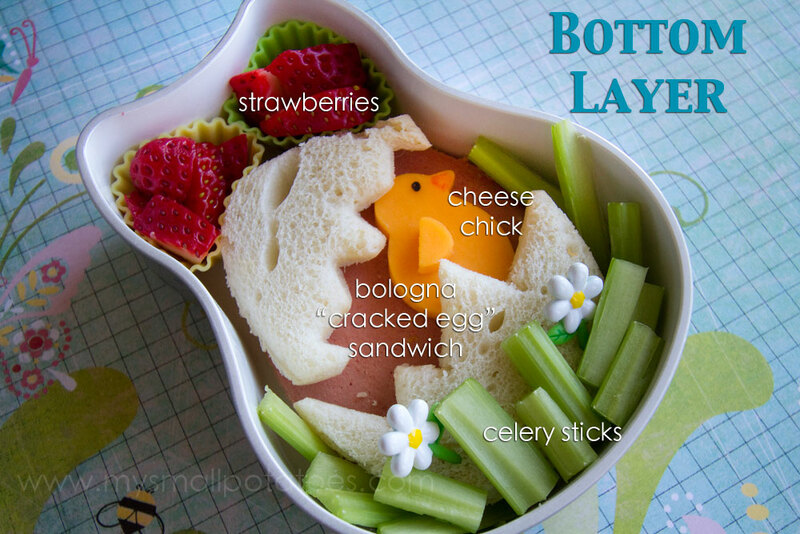 How did you come up with the bento idea?